Those feeling much too good about themselves ought to take a gander at this incredibly fascinating/depressing new study from the San Jose State University-based Mineta Transportation Institute on people who kill themselves by commuter train (click here for the abstract and here for a pdf of the entire report). 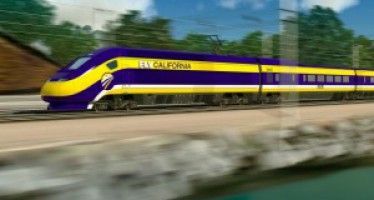 According to the report, researchers used fatality data from Caltrain, a 77.4-mile long commuter rail system that runs from Gilroy to San Francisco. Going off a list of 200 deaths involving the commuter rail system between 1992 and 2009 (123 of them confirmed suicides), the research team came to some obvious, and not-so obvious, conclusions. For instance, they found no trend in suicides, nor any monthly pattern, save the odd result that people generally don’t kill themselves by Caltrain in September. They also found that most suicides take place during the work week — “especially on Mondays and Fridays” — which may be significant or just a function of the fact that Caltrain doesn’t run that often on weekends. For some reason, the Bay Area seems an especially popular locale for those wishing to research suicides. Case in point is the wrenching but nonetheless compelling 2006 documentary The Bridge, which examines in stunning (and graphic) detail various people who killed themselves by jumping off the Golden Gate Bridge. Photo of Caltrain courtesy caltrain.com.